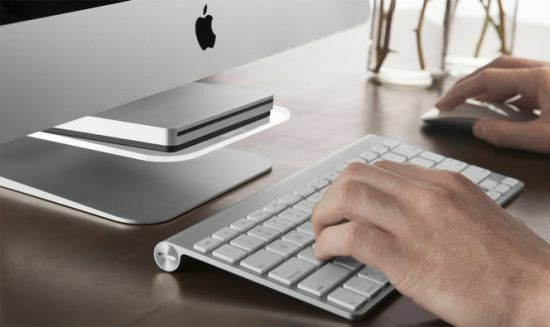 If the clutter of devices and accessories is spoiling the elegance and minimalism of your Apple iMac on your workstation, check out the new shelf called the “Stashboard” that offers a sleek and functional design to clear all the clutter from your desk. 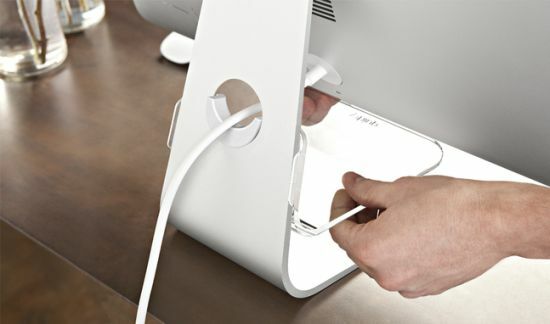 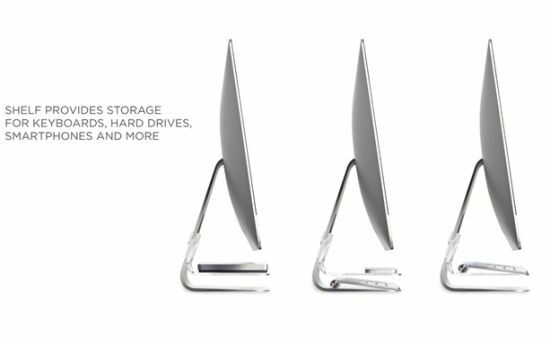 Made using polycarbonate and thermoplastic elastomer, the clear shelf clips elegantly underneath the screen of your iMac. 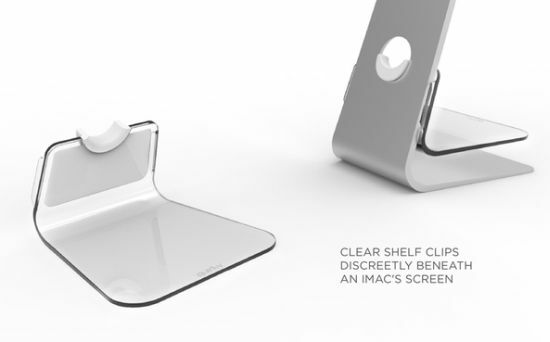 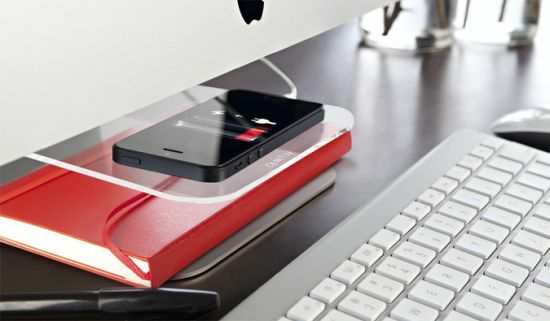 Featuring rubber grips to hold the screen firmly without any scratches or damages, the light, glass-like shelf delicately hovers under the screen to make your objects look as if they are floating in the air. 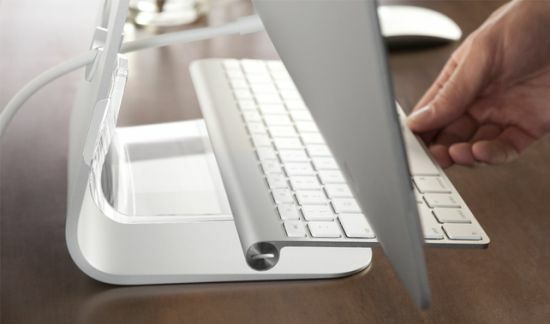 Measuring 170 x 90 x 190mm (WHD) in dimensions, the Stashboard offers adequate space to neatly store an extra keyboard, Smartphone and hard drive to maintain the magical look of your iMac.